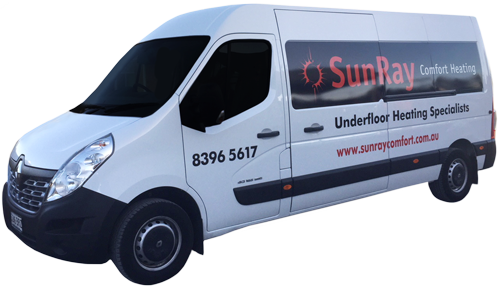 SunRay is one of South Australia's most trusted names in underfloor heating. We offer a quality product, expert installation and friendly after-sales service. To show us building plans, please click below to email us directly. For all general enquiries, please fill in the form below or call us on 8396 5617.